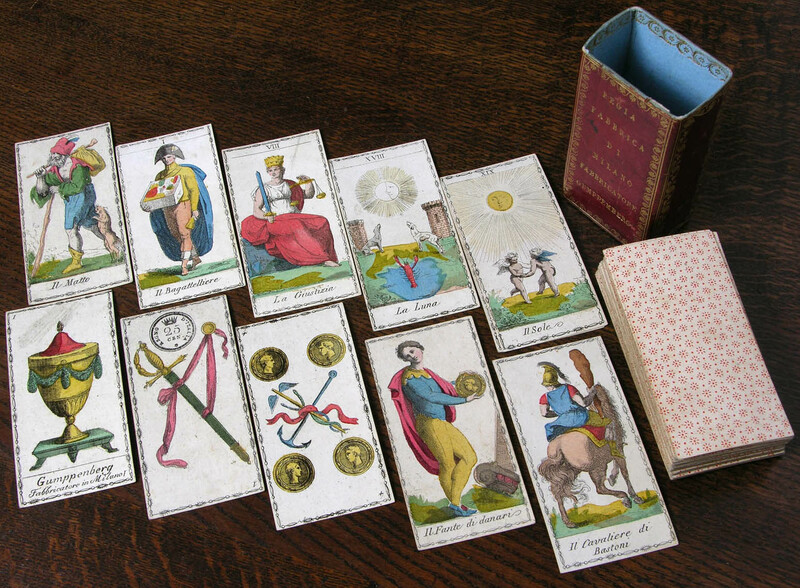 However, using cards for playful divination probably goes to the 14th century, likely originating with Mamluk game cards brought to Western Europe from Turkey. 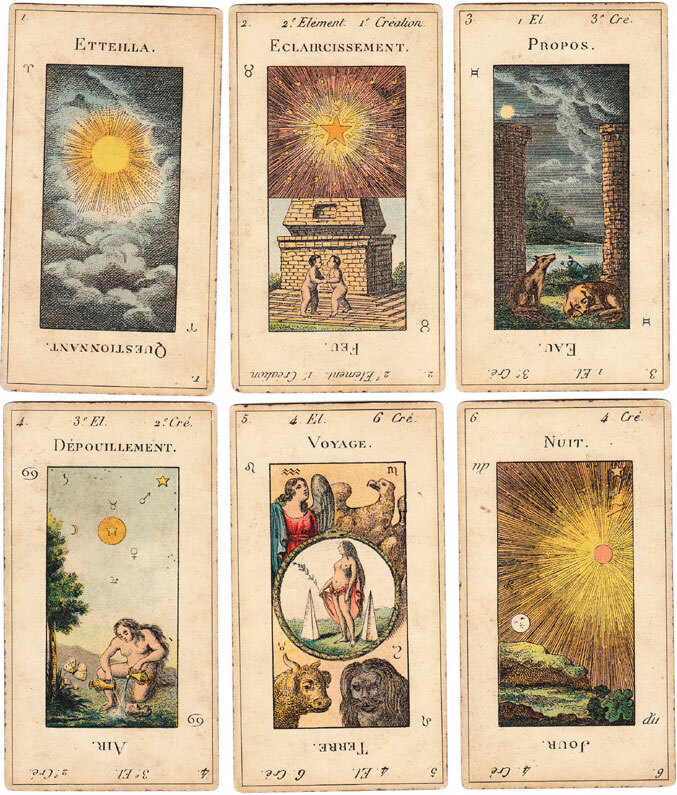 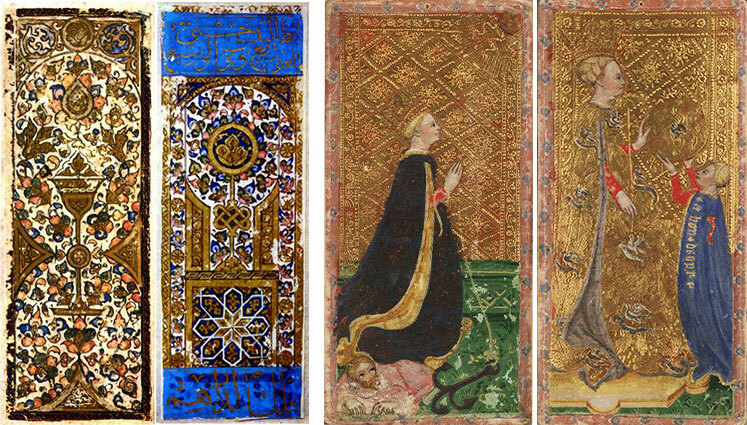 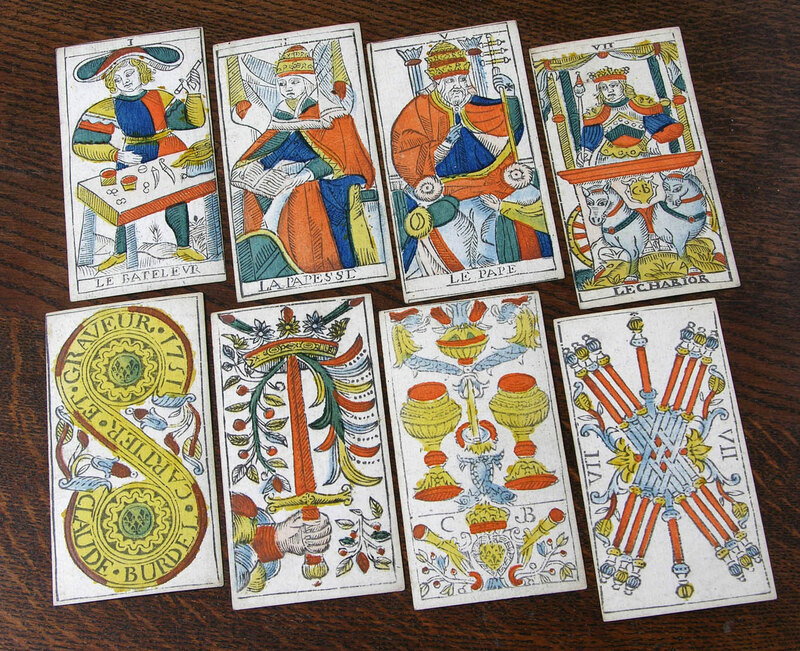 By the 1500s, the Italian aristocracy was enjoying a game known as “tarocchi appropriati,” in which players were dealt random cards and used thematic associations with these cards to write poetic verses about one another—somewhat like the popular childhood game “MASH.” These predictive cards were referred to as “sortes,” meaning destinies or lots. 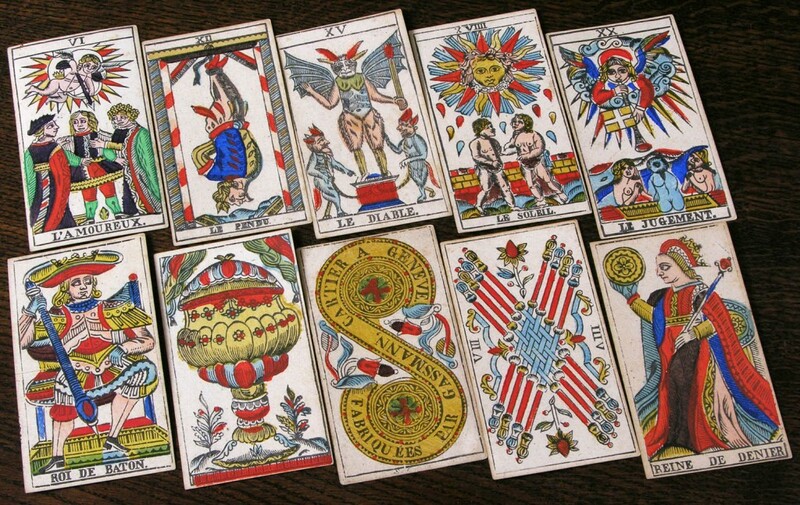 The random draw of the cards created a new, unique narrative each and every time the game was played, and the decisions players made influenced the unfolding of that narrative.” Imagine a choose-your-own-adventure style card game. 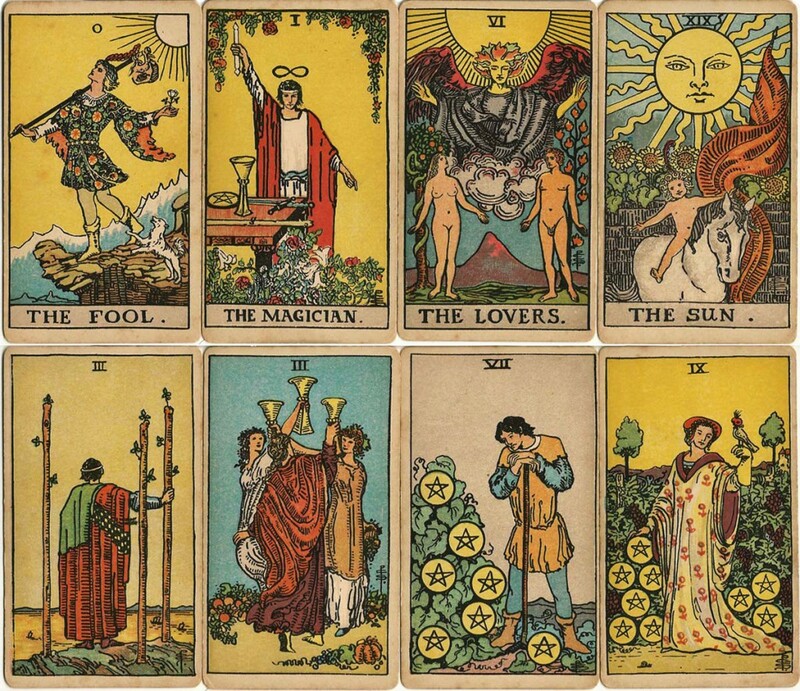 “The deck really took off in popularity when Stuart Kaplan obtained the publishing rights and developed an audience for it in the early ’70s,” says Wolf. 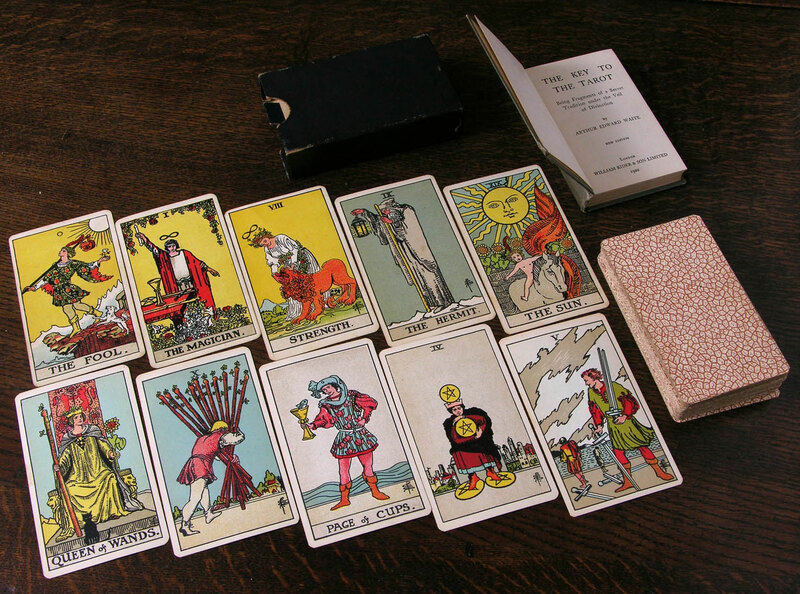 Kaplan helped renew interest in card reading with his 1977 book, Tarot Cards for Fun and Fortune Telling, and has since written several volumes on tarot.